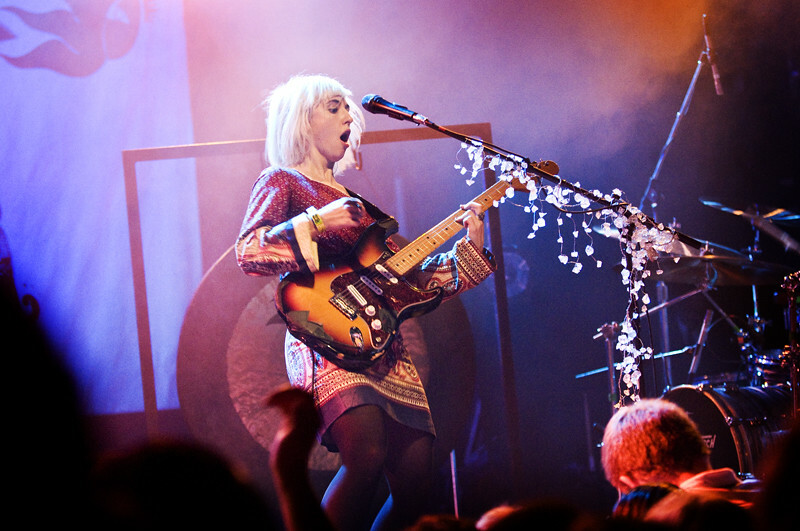 Joy Formidable plays The El Rey. 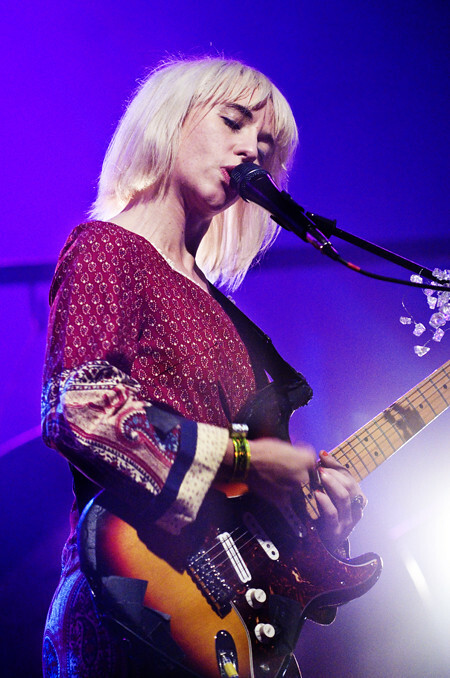 Since their release of their debut album "The Big Roar" earlier this year, The Joy Formidable have since performed on some of the biggest stages such as SXSW, Reading Festival, Coachella. and most recently Lollapalooza. 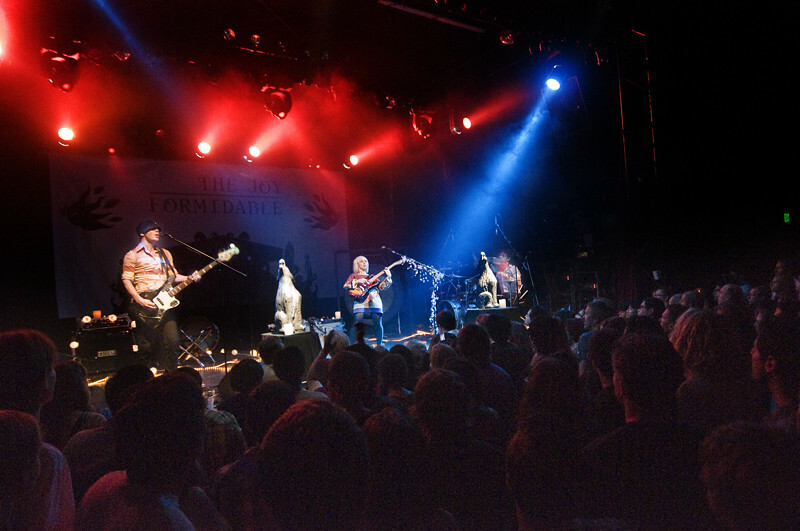 Last Wednesday, Joy Formidable performed at the El Rey theater and did what they do best – play loud. Joy Formidable at The El Rey. This Welsh trio comprised of Ritzy Bryan, Rhydian Dafydd and Matt Thomas, attack each song like it's their last time on stage. Commanding presence, blistering guitars and energized vocals, Joy Formidable played loud against a rich kaleidoscope of colorful melodies. They set the tone early in the night at the El Rey with their opening song "A Heavy Abacus," a heavy hitting anthem song that would wet the appetite of the packed crowd including many who were seeing them for the first time. Ritzy's soft appearance quickly evaporates when she transforms herself into a high intensity and aggressive guitar thrashing banshee. Ritzy Bryan of Joy Formidable. Most of the songs came from the debut album "The Big Roar" including alt-rock favorites "Cradle" and "Austere." Joy Formidable, known for their energized shows rumbled for nearly two hours as Ritzy, the wide-eyed, pixie singer holds your attention as she growls over shredding guitars. 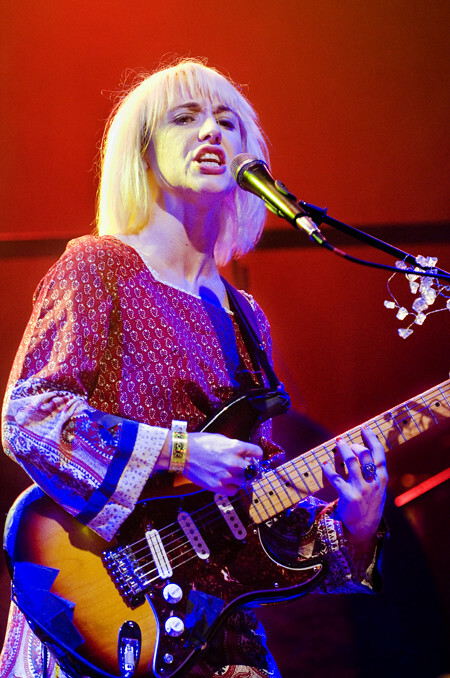 "Whirring" came towards the end of their set, a ten-minute assault on the senses that had Ritzy and Dafydd kicking stage props and banging the large gong in the center of the stage. In the end, the El Rey crowd left pleased and pleasantly surprised. 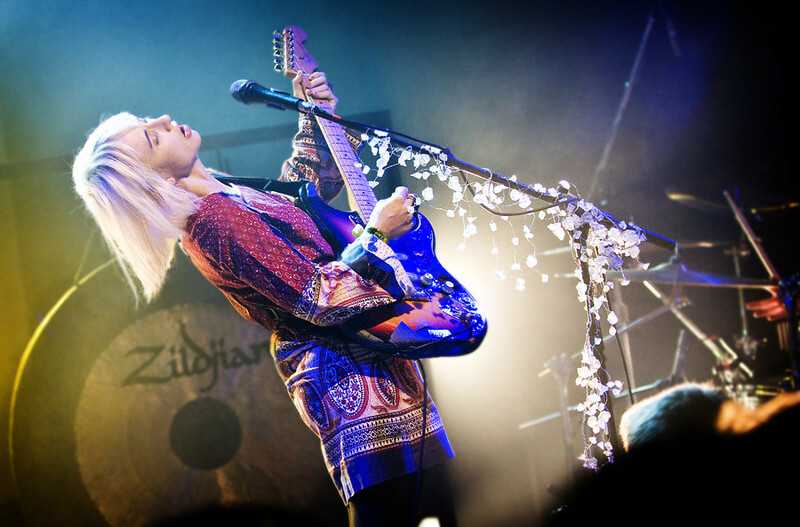 This time last year, Joy Formidable played downtown's The Bootleg Theater which holds less than 200. 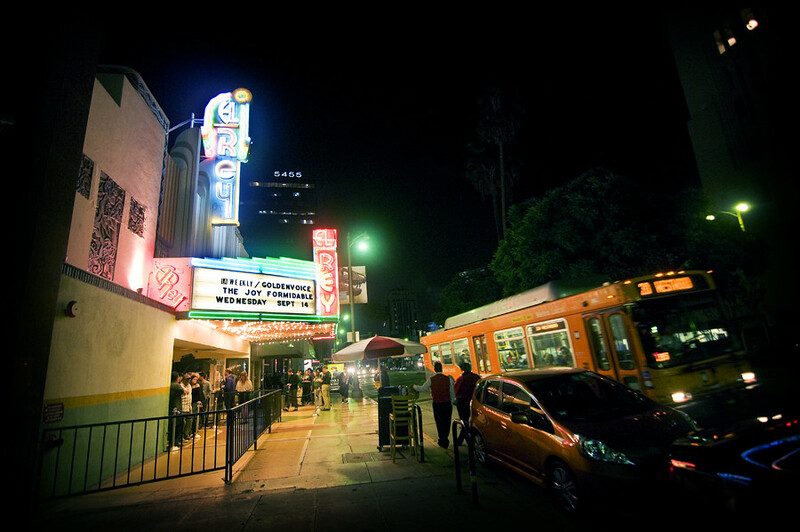 This night, they played the El Rey theater that holds over 900. What a difference a year makes. BULLET AND SNOWFOX'S NEW VIDEO "SUPERGIRL"
NEW SONG: SUMMER CAMP IS "BETTER OFF WITHOUT YOU"